The most obvious way to avoid an alcohol hangover is to either avoid drinking altogether or to limit the number of drinks. But once in a while, most people end up having too much to drink and wake up feeling exhausted with a bad headache. Are there ways to prevent hangover symptoms? Can taking certain supplements, consuming certain foods and drinks, and altering drinking habits help with preventing a hangover? Let’s find out what works and what doesn’t. Read on to learn the best ways to prevent a hangover. What is the best hangover prevention method? Will having a rest before drinking help? 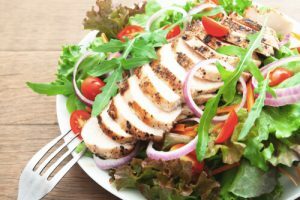 Can food help with veisalgia prevention? Do supplements reduce crapulence severity? What to drink not to get hungover? Is drinking in moderation a key to easy morning? Will alternating alcohol and water help? Nicotine: Does it make symptoms worse? Will physical activity help in veisalgia prevention? Shall one stay up until gets sober to avoid crapulence? How to sleep not to feel hungover in the morning? Do Veisalgia Prevention Methods Work? Various factors contribute to the development of side effects of a hangover in the 24 hours following alcohol consumption. Some people are more susceptible to get hungover than others due to a genetic variation in the ability to metabolize alcohol. Other factors also play a role in symptom prevention. How to not get hungover? The quantity and type of drinks consumed, sleep, drinking on an empty stomach, and concomitant use of other substances such as nicotine all affect how unwell a person feels the next day. Is it possible to prevent a hangover? Certain strategies can reduce the severity of unpleasant signs and symptoms following heavy alcohol use. There is no silver bullet that can guarantee the prevention of symptoms and ensure that a person will not feel sick after drinking. However, taking certain precautions can allow a person to drink safely and help in preventing a bad hangover. How much a person can drink without developing headache, tiredness, and irritability the following day varies from person to person. However, the best way to prevent hangover symptoms is to avoid alcohol altogether. There is no foolproof method that can allow a person to drink without feeling hungover the next day. Nonetheless, complete abstinence is not an option for most people. Let’s read about some of the ways to prevent hangovers if avoiding alcoholic beverages is impossible. Some people can guzzle a dozen drinks and happily hit the ground running the next morning. Others feel like they were hit by a bus after just a couple of drinks. In addition to the genetic variation in susceptibility to alcohol, certain precautionary measures can help with preventing unpleasant signs and symptoms. How to not be hungover? Being well rested before heading out for a night on the town helps. People who are stressed and tired are more likely to make poor drinking choices and overindulge in alcoholic beverages. A refreshed and alert person, on the other hand, is more likely to drink sensibly. Also, when a person is well rested, the body is fighting fit to handle the toxins produced by the breakdown of alcohol. What to eat before drinking? One of the most effective ways to prevent a hangover is to eat a healthy meal before drinking. When a person drinks on an empty stomach, the absorption of alcohol is much faster, which makes a hangover more likely and more severe. Besides, alcohol is more likely to irritate the lining if the stomach is empty, leading to symptoms such as stomachache, nausea, and vomiting. Eating during drinking also has a beneficial effect in preventing symptoms. It can help keep blood alcohol levels down and reduce the effects of a hangover. How to prevent a hangover after drinking? Following excessive alcohol consumption, certain symptoms such as fatigue occur due to low blood sugar. Eating a healthy dinner can help maintain blood glucose levels and replenish vitamins and minerals, thereby allowing the body to function better. Supplements: What To Take To Prevent A Hangover? Certain supplements may be useful for the prevention of uncomfortable symptoms after alcohol ingestion. Taking these supplements before drinking can act as a preventive measure due to their antioxidant and anti-inflammatory properties. How to prevent hangovers with supplements? 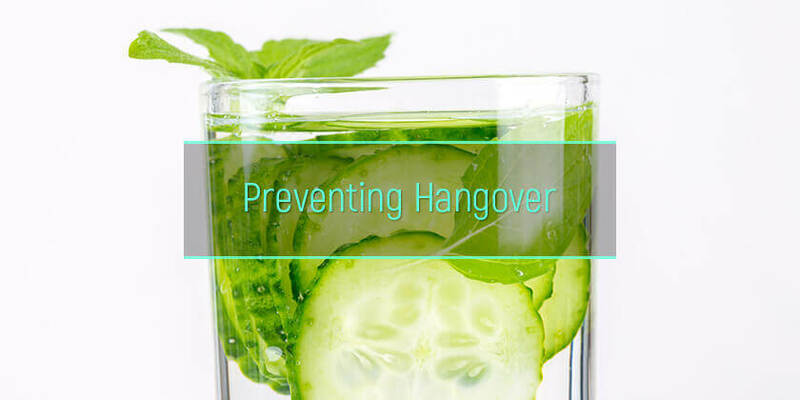 There is no hangover prevention method that works wonders, but red ginseng, N-acetylcysteine, prickly pear, and milk thistle are believed to be good over-the-counter remedies. Also, it is a good idea to replenish B and C vitamins with supplements as these are lost during alcohol-induced diuresis. In addition to the ethanol itself, alcoholic beverages contain chemical compounds called congeners that give the drink its distinctive flavor. Congeners are believed to contribute to hangovers. A larger quantity of congeners is present in dark liquors such as bourbon, brandy, cognac, and tequila, and these drinks are likely to produce more severe hangovers. One way to prevent a hangover is to consume clear liquors such as gin, vodka, and rum which contain a smaller quantity of congeners. Other ways to prevent hangover are choosing drinks wisely and sipping smart means avoiding sugary cocktails and bubbly drinks. Champagne and sparking wine contain carbon dioxide bubbles that compete with oxygen in the bloodstream and worsen the effects of alcohol on the body. Cocktails with high sugar content are more dehydrating. In addition, the breakdown of the sugar places a burden on the liver, resulting in more severe symptoms. It is worth noting that there is no scientific evidence to prove that mixing beer and liquor can cause worse hangovers. People who drink in moderation and keep a tab on the number of drinks are less likely to feel unwell the following day. It is a good idea to pace out alcoholic drinks because the average liver can only process one standard drink every hour. How to not wake up with a hangover? A good prevention strategy is drinking at a slower pace. This not only allows the body to process the ethanol, but it also results in lower overall consumption of drinks. Alcohol is a diuretic and causes loss of fluid through increased urination. The resultant dehydration is responsible for many hangover symptoms such as thirst, headache, and fatigue. 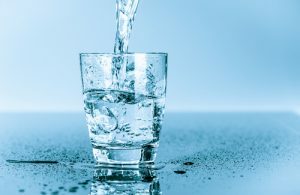 Most people find one of the best ways to prevent a hangover is to drink plenty of water alongside alcoholic beverages. A good prevention method is to alternate between alcoholic drinks and water by replacing every other drink with a glass of water. It is also a good idea to drink water before bed to prevent symptoms the next day. Combining alcohol with other toxic substances such as nicotine can increase the likelihood of feeling miserable the next day. What to do to prevent a hangover? Studies show that smoking significantly increases the likelihood and severity of unpleasant symptoms. The exact mechanism by which more intense symptoms are produced is not completely understood, but avoiding tobacco is one of the ways of preventing feeling hungover. Is there something a person can do to avoid feeling sick after a night of drinking? How to prevent a hangover the night before? One way is to be active. Dancing and playing games during a party can prevent a person from overindulging in alcohol. The activity of any kind distracts a person from drinks and helps pace out the alcoholic beverages throughout the evening. However, it does not refer to the so-called “drinking games”. Between beer-pong and ping-pong, choose the second. It is also advisable to consult a medical professional before beginning any exercise program, especially in people with a history of heart disease. How to cure hangovers? One of the ways to prevent a hangover is to sober up before falling asleep. How to sober up quickly? There is no way to instantly become undrunk and bring the blood alcohol level down to zero, but drinking lots of water, taking a supplement like milk thistle, eating healthy foods containing thiamine (vitamin B1), and getting enough sleep can all help. Intoxicated sleep is disturbed and fragmented and neither restful nor restorative. Many of the symptoms of a hangover are due to fatigue and sleep deprivation. How to prevent hangovers? Sleep gives the liver a chance to break down the alcohol and get rid of toxins. A good night’s sleep is essential to allow the body to recoup and recover quickly. There is no magic formula or anti-hangover pill for preventing hangovers. The only way to avoid the aftereffects of heavy drinking is to drink sensibly, pace out the alcohol, choose drinks wisely, stay hydrated, eat before drinking, and get plenty of rest. If alcohol starts to ruin one’s life, it is a red flag that the alcoholism treatment is needed. The rehab centers for alcohol addicts offer a wide range of services and aftercare programs. Can One Die From Hangover?